Hello Jenny! Ha I thought I might be top of the list today, but I'm in 3rd! Very cool idea for the up coming holidays, as things may get a bit busy and it may be hard to keep up with our normal alphabe-Thursday, as we will be cooking up a storm or two and have just the right recipe, right! Not sure who is in the first slot, but I can't seem to access it....is it a real blogger on your list? I was hopping up & down when I thought I was first too, but by the time I entered, I slipped to #9. Finally a fabulous flurry of fine friends!!! Have a fantastic day sweetie!!! Mrs. Matlock! Thanks so much for the calendar of upcoming weeks and the topics to be posted. Holiday schedule on Dec 22 & 29 with G scheduled for Jan 5...that works for me! A good decision! 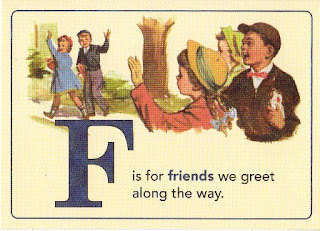 Thanks so much for all the FUN alphabet play! Enjoyed every single minute of it! Jenny...is anyone else having trouble getting into #1? I keep getting a message that I don't have access to that page. I thought it might be a temporary glitch, but I'm not having trouble with other blogs. I'm thinking something might be wrong with the link. I have waited all week to post my F post! I live for the next letter! Ha Ha! Hee Hee! I L O V E it here! I did add the holiday schedule to my list! Thank you for hosting and know how much I treasure just meeting you for these precious minutes! Tell your hubby hi too! I think all went well and my blog is readable, my computer however will not cooperate and allow me to make sure... hopefully I'll be able to get in to check out some posts this week! It is a great fantastic useful resource you are furnishing also , you yes the item absent totally free. replica uggsI adore experiencing web sites of which realize on-line associated with furnishing a reputable useful resource totally free. It’s this aged what exactly is going all over arrives all over workout.lately,rolex watches are very hot,I don't know what do you think about it ?let us have a exchange here! Next week, I may be able to slip in a post. However the last week of December I won't be able to join in on the fun. DH will be taking some vacation days so he won't loose them then. We'll be watching Bowl games and having fun. I'll be back for the 'G' link up for sure. Thanks for hosting! Oh me, oh my! I am late again...and still have yet to catch up with last week's letter "E" posts to read! I will soon be caught up with all the Christmas art orders, so hope to do some blog visiting after! Hugs to you my dear Ms. Jenny!!! !